The Peradeniya Teaching Hospital has created history by being the first and only hospital in South Asia to have successfully performed 100 kidney transplants on children. This achievement was made within 14 years after performing the first such kidney transplant in 2004. “The hospital was able to make this achievement due to the dedicated contribution of the entire hospital staff, including doctors,” Consultant Surgeon Prof. M. D. Lamawansa said. 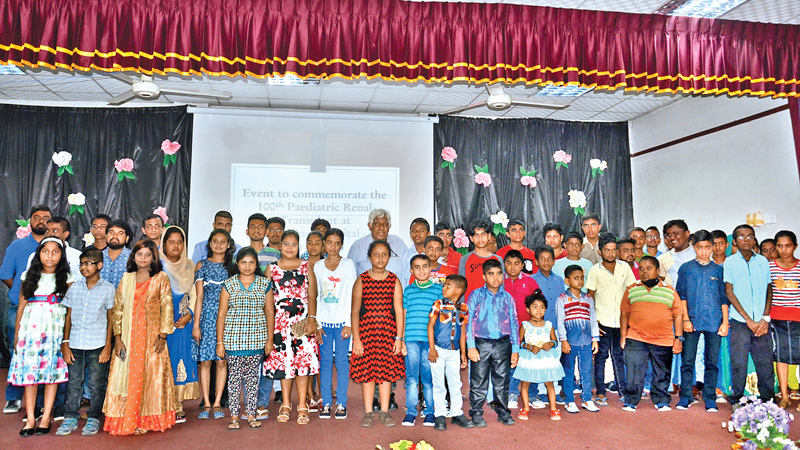 The Professor disclosed this addressing a ceremony at the hospital premises on February 16, with the participation of children who had received a new lease of life following kidney transplants received at the hospital. Prof. Lamawansa said children who underwent kidney transplants earlier faced certain death. A child received a kidney transplant should at least be 2-years-old and 10 kilogrammes in weight. However, they were able to perform a kidney transplant on a child who was 1 year 8 months old and 8 kilogrammes in weight and this even gained international acclaim, consultant Paediatrician Prof. Asiri Abeygunawardene said. At this ceremony Miss Min Hadjiar, the first child to undergo a kidney transplant in 2004 and V. Danukshan of Batticaloa the 100th child to undergo a transplant conveyed their thanks and compliments to the doctors who gave them a new lease of life. Hospital Director Dr. Arjuna Tillakaratne, Consultants Dr. Oswald Fernando, Dr. Tilak Abeysekara, Dr. M. L. S. Beligaswatta, Dr. Arjuna Aluvihare, Dr (Ms) Vasanthi Pinto, Dr. Kapila Gunawardene, Dr. Channa Ratnatunge, Dr. Chula Gunasekera, Dr. Gamini Buthpitiya and the rest of the hospital staff were also present.